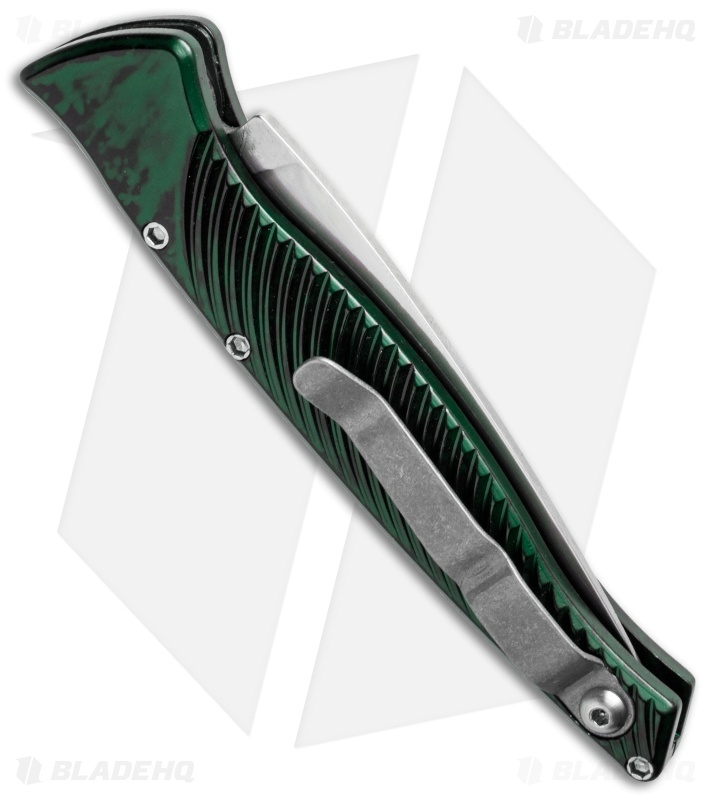 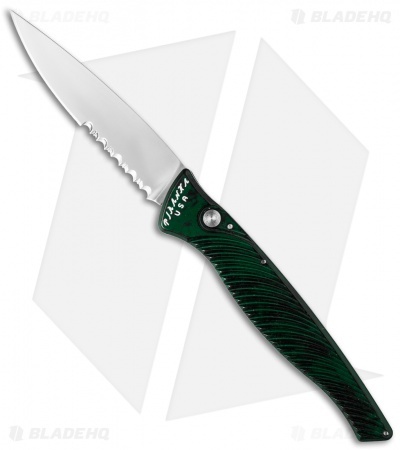 This variation of the DNA automatic knife has a mirror polished, partially serrated edge CPM-S30V steel blade, and a green marble anodized handle with satin finished hardware and pocket clip. 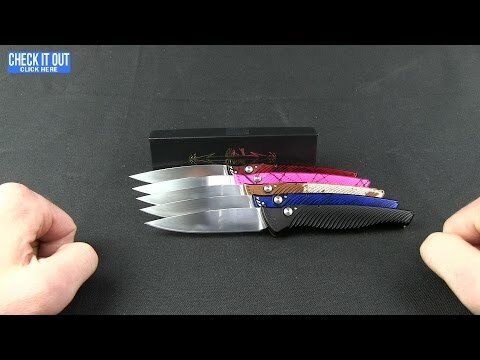 Piranha Knives has added the slim, discreet DNA automatic knife to their lineup. The handle is CNC machined 6061-T6 aluminum with flared fluting on either side and a subtle 'double-helix' pattern milled along the top side. Together with the flush-mount titanium pocket clip, the texture provides excellent grip. 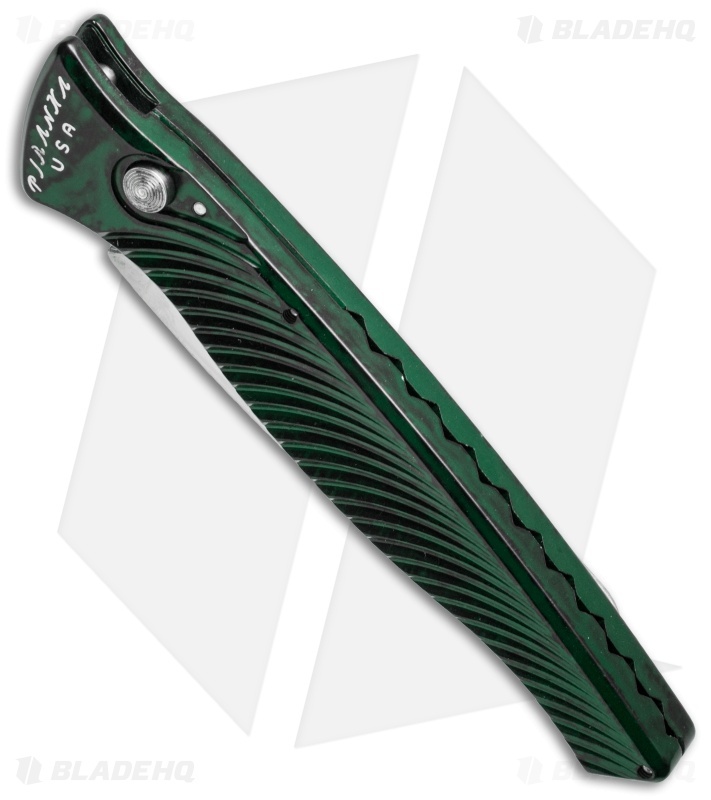 The DNA is a worthy everyday carry folder with a unique, attractive look and feel befitting a gentleman's knife.